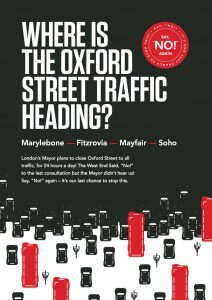 Home › Views and Suggestions › Will London’s Oxford Street ever be pedestrianised? Will London’s Oxford Street ever be pedestrianised? It’s one of the mayor’s election pledges to pedestrianise London’s Oxford Street. It is not a pleasant shopping environment. It’s full of buses and taxis and as a result of the high buildings, pollution doesn’t disperse from the street. It also has a high level of pedestrian collisions. Now though, the scheme to pedestrianise Oxford Street is in trouble. The problem for London Mayor Sadiq Khan is that the road is owned by Westminster City Council. There has been considerable opposition to the plans from local residents and businesses. 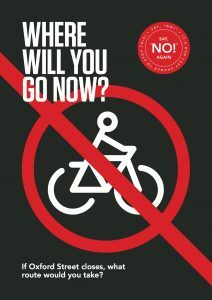 Such was the clamour that prior to the recent local council elections, Westminster City Council shifted its policy away from broadly supporting the scheme to calling the present plans “unacceptable”. The council has now confirmed it does not think full pedestrianisation is the answer. The plans are going to have to change. 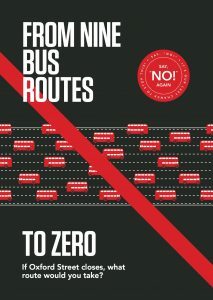 Council leader Nickie Aiken said: “No change on Oxford Street is not an option. However, having reviewed the recent consultation we are persuaded that full pedestrianisation is not the best solution. Those pledges mean any plan will have to reduce pollution and prevent traffic going onto residential roads. That could be very difficult to achieve. The Campaign Against Pedestrianisation of Oxford Street (CAPO) – who caused the shift in the council’s policy – think the project is in serious trouble. Parts of it were due to be finished by the end of the year. They think that is impossible. And at the moment it looks like there isn’t a plan at all and it is back to the drawing board. This project has been talked about for decades and it always hits problems. The mayor remains optimistic it will happen. But without consensus from Westminster, a huge cloud hangs over the scheme.